Its name translates to "a giant thunderclap at dawn" — and it's easy to see why. Viktor Radermacher, University of the WitwatersrandAn artist’s rendering of Ledumahadi mafube. Some 200 million years ago, a 12-ton dinosaur that was double the size of an African elephant stomped around South Africa. 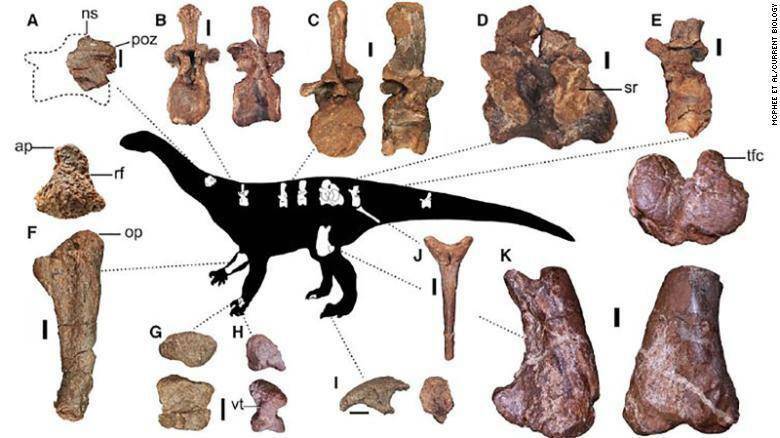 In a study just published in Current Biology, a team of researchers revealed that a recently unearthed fossil led them to the discovery of a new dinosaur species that they’ve named Ledumahadi mafube. The dinosaur’s name translates to “a giant thunderclap at dawn” in Sesotho, a South African language spoken in the region where the dinosaur’s bone was found. The Jurassic-era animal, which was a close relative of the brontosaurus, was massive. The researchers believe that it weighed 26,000 pounds and was the largest land animal of its time. The animal’s discovery is groundbreaking not only because of its size but because of the insight it has given scientists into the evolution of its later relatives. According to CNN, Blair McPhee, a graduate student and paleontologist, discovered the dinosaur’s bones back in 2012. They didn’t know what species of dinosaur the bones belonged to and the rest of the bones were still in rocks in the field, making excavation a painstaking process. “It took a long time because the sediment they were encased in had basically turned to concrete over about 200 million years, and it was sort of on a slight cliff face,” McPhee explained to NPR. Blair McPhee/Current BiologySome of the preserved elements of the newly discovered Ledumahadi mafube. After years of excavating, the team removed the bones, studied them and made their startling discovery: a new dinosaur. They concluded that the dinosaur was a fully-grown adult and had been around 14 years old when it died. 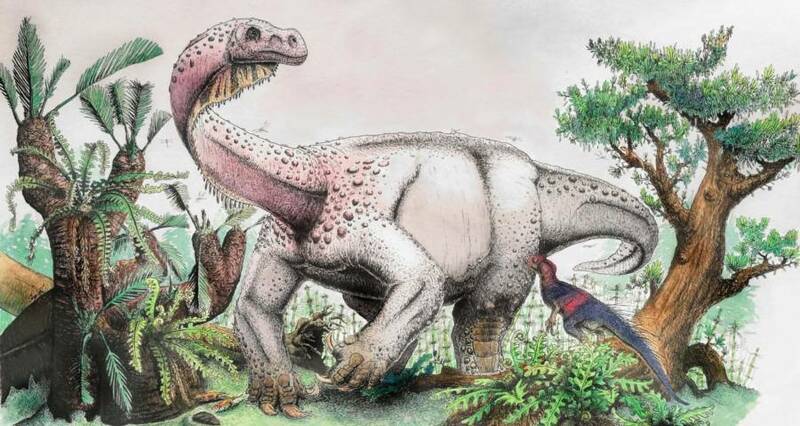 The Ledumahadi mafube was an early ancestor of the sauropods, which were a group of large herbivores, like the brontosaurus, that walked on all four legs. However, the researchers believe that the Ledumahadi mafube itself evolved from smaller ancestors who got around on two legs. 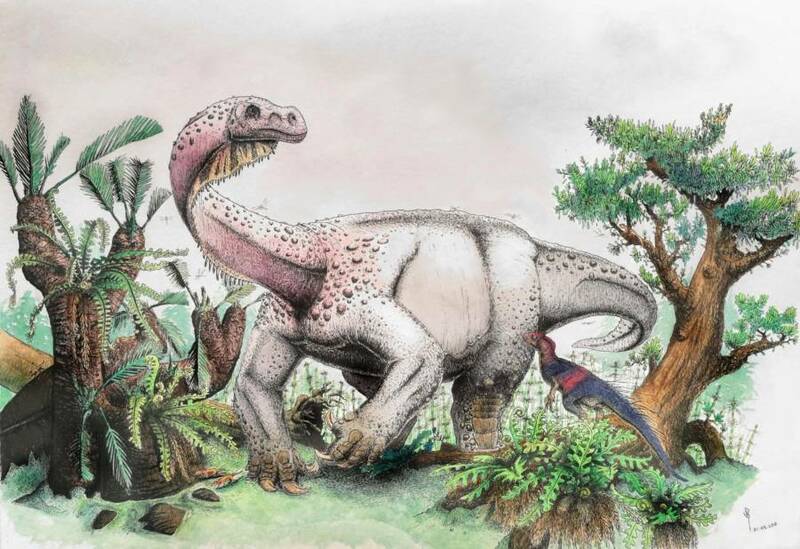 This fact caused researchers to label the Ledumahadi as a transitional dinosaur, meaning it was a kind of evolutionary experiment that was a combination of different traits. Footage and interviews that reveal more about the discovery of the Ludahadi mafube. The researchers developed a method of testing to see if this giant dinosaur walked on two legs or four. To do so, they gathered information on leg size and thickness for dinosaurs, animals, and reptiles that walked on either two or four legs. They then compared that information against the data collected from the Ledumahadi fossil and concluded that the animal walked predominantly on four legs but could have popped up onto two legs to reach things on high branches. 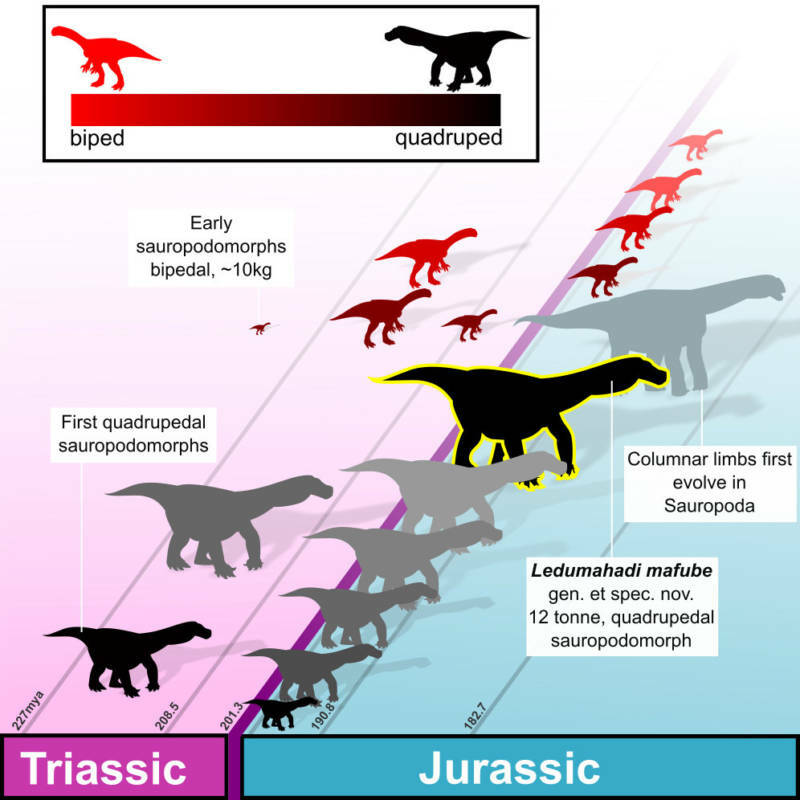 McPhee et al./Current BiologyGraphical abstract showing the evolution of four-legged dinosaur postures. According to NPR, this evolutionary adaptation allowed the massive dinosaur to possess remarkable stability and may have helped its later descendants like the brontosaurus to grow to massive sizes. Furthermore, the discovery of the Ledumahadi has also sparked new insights into the geography of prehistoric Earth. Because the Ledumahadi was also related to large dinosaurs that lived around the same time in Argentina, the researchers believe that this supports the theory of the supercontinent Pangea. “It shows how easily dinosaurs could have walked from Johannesburg to Buenos Aires at that time,” Jonah Choiniere, an author of the study and a paleontology professor at the University of Witwatersrand in Johannesburg, said in Science Daily. Indeed, the massive Ledumahadi may very well continue to upend much of what we only thought we knew about Earth in the age of the dinosaurs. Next, check out these 31 dinosaur facts that reveal everything from the biggest to the scariest to the smelliest. Then, take a look at the Nodosaur dinosaur mummy that was found with its skin and guts still intact. Caroline is a writer and Florida-transplant currently living in New York City.